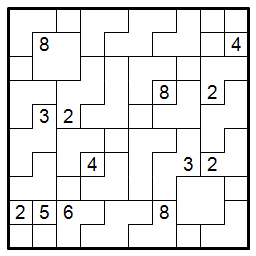 This is a Tuesday Numerical Stairs puzzle. 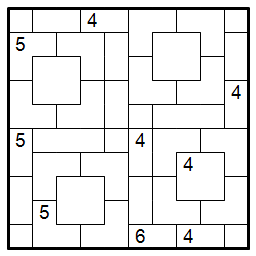 This is a Thursday Numerical Stairs puzzle. Q: What are these black cells? A: See the description page, which has been updated. Q: Why did you put them in? A: Because you wanted me to. See, I would think you prefer that I could give you puzzles to enjoy. For me to give you puzzles, I have to be sane. For me to be sane, I have to not bust my brains out trying to get these @#%$! stairs to work like they should. For me not to not bust my brains out, I have to take some liberties, like black cells. Therefore, I put black cells in because you would prefer that I did so. 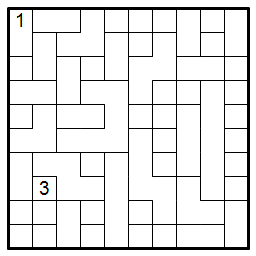 I don’t know if you can tell from solving them, but every one of these puzzles has been a nightmare to construct, except for the asymmetric one. I might have to drop the symmetric room restriction entirely. 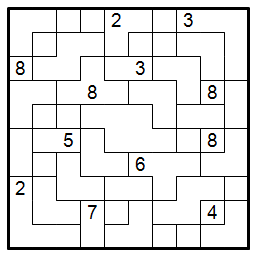 This is a Saturday Numerical Stairs puzzle. 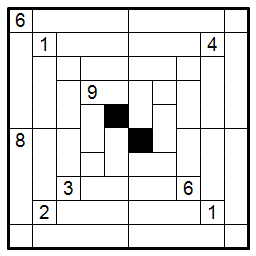 Probably the first puzzle to really show what this type is capable of. 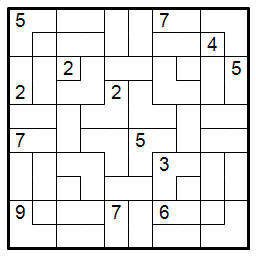 For an extra challenge, the puzzle is solvable without one of the two clues. It was added because without it an unacceptable (to me) amount of thinking ahead is needed. Having said that, if you find yourself having to do just that, step back and try to develop some new logical techniques.